Commercial Asphalt Paving, Concrete Construction, Sealcoating, and Excavation Services in Albany NY. Choose the economical, durable, safe, and recyclable option for your pavements. Pothole Repair Potholes reduce the integrity of your pavement and they can be extremely destructive to vehicles driving over the surface. Repairing potholes helps to increase appearance, reduce deterioration, and saves you from having to repave the overall surface. Overlay/Resurfacing Asphalt overlay/resurfacing is a long-term, cost-effective solution to repairing damaged, failing asphalt. It can extend the life of asphalt pavement seven to twelve years and costs substantially less than removing and replacing the entire surface. 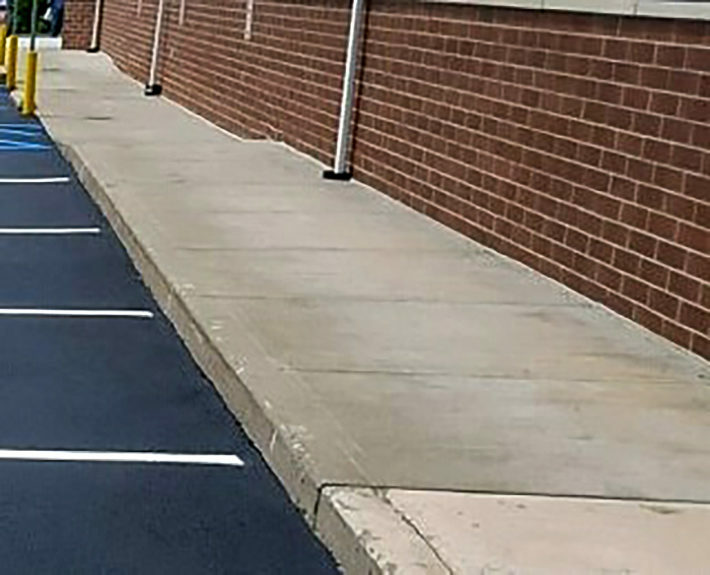 Removal & Replacement When an asphalt surface has reached the end of its life, or can no longer be repaired by sealcoating, overlays, and resurfacing, it is time for removal and replacement. Asphalt removal and replacement involves the excavation and disposal of the existing asphalt and laying a new surface. 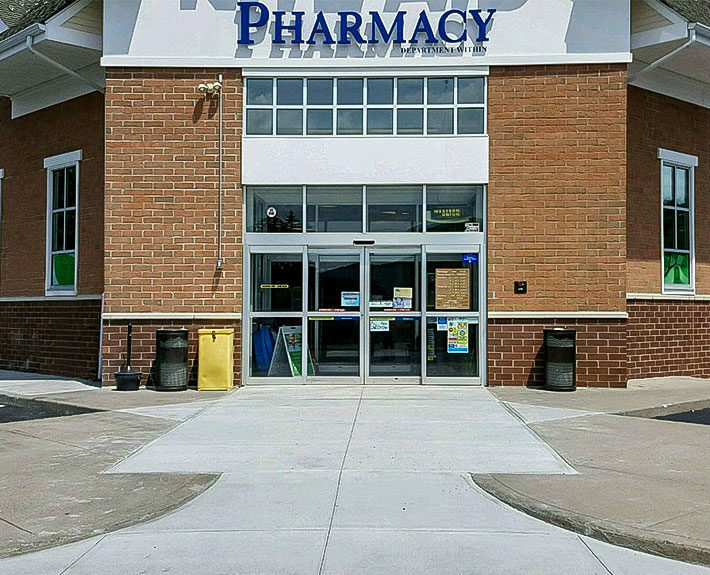 Installing a new surface for your business will improve curb appeal and increase longevity. Expansion Expanding the existing pavement requires professional expertise. Pavement expansion requires grading, building up the base, and laying down asphalt to best match the existing surface. 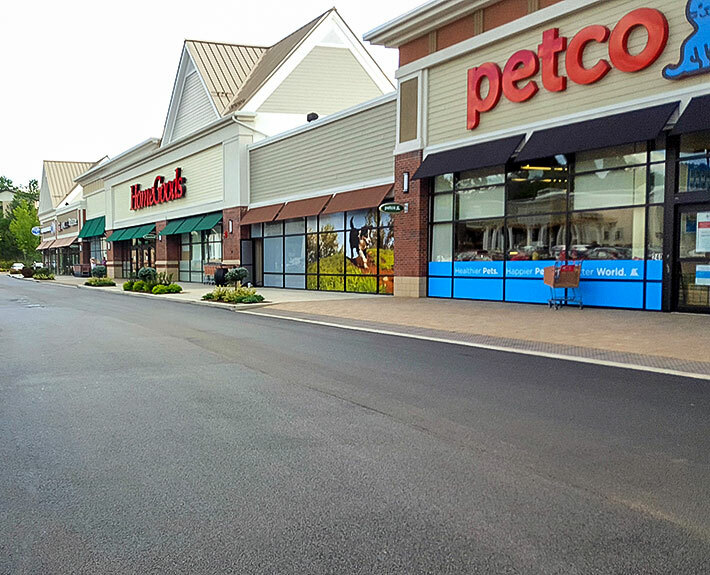 Extend the life of asphalt pavement with professional sealcoating services. Sealcoating Sealcoating asphalt provides protection that increases the longevity of the surface. Regular sealcoating can slow cracking, protect against stains, and increase curb appeal. 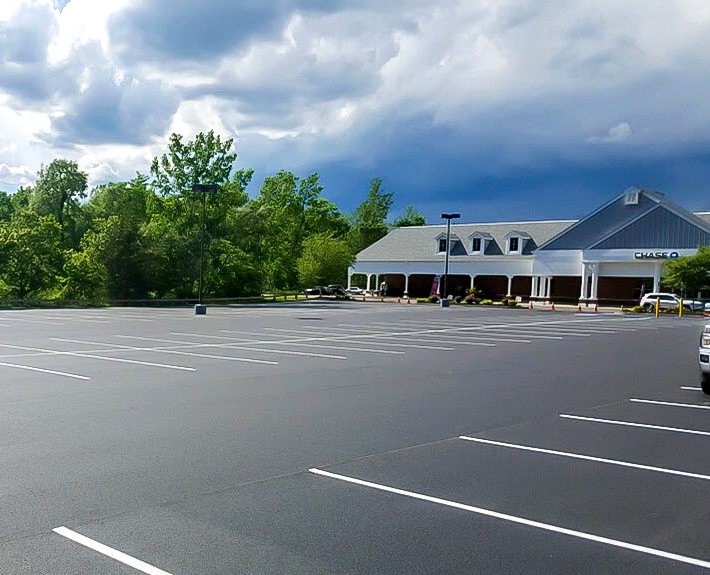 Asphalt should be sealcoated approximately on the following schedule: ninety days following installation, one year following the first sealcoating, and then every two to three years thereafter. Crack Sealing Cracks in the pavement require professional crack sealing. Untreated cracks allow for water to penetrate the asphalt which, given freeze/thaw cycles, results in rapid deterioration of the pavement. Sealing cracks slows the deterioration and strengthens the surface. The perfect foundation for a long-lasting experience. We provide professional concrete construction for contractors, parking lots, new construction, and more. We expertly install concrete to ensure integrity, longevity, and the efficiency of any structure. Protect concrete pavement from cracking, flaking, oil spills, and mold. Concrete sealing extends the life of the pavement. Similar to the process used in asphalt sealing, concrete sealing reduces spalling, flaking, and cracking. It helps protect the visual appeal of the surface by protecting it from oil spills and other stains and improves the traction of the surface. Concrete sealing also reduces mold and mildew and helps prevent the growth of grass and weeds through your surface. Exceptional preparation for foundations, water-lines, drainage repairs, and new construction. Foundations Excavating a foundation for commercial buildings and facilities is a professional process that involves making sure the appropriate procedures are followed given the specific soil requirements, removing any water, unearthing and removing the soil, and pouring the new foundation in a stable environment. Waterlines Quality, security, and durability is something you can expect from the professional excavation of your water lines. This process must be handled with extreme care. Awareness of potential problems and unforeseen barriers is essential. 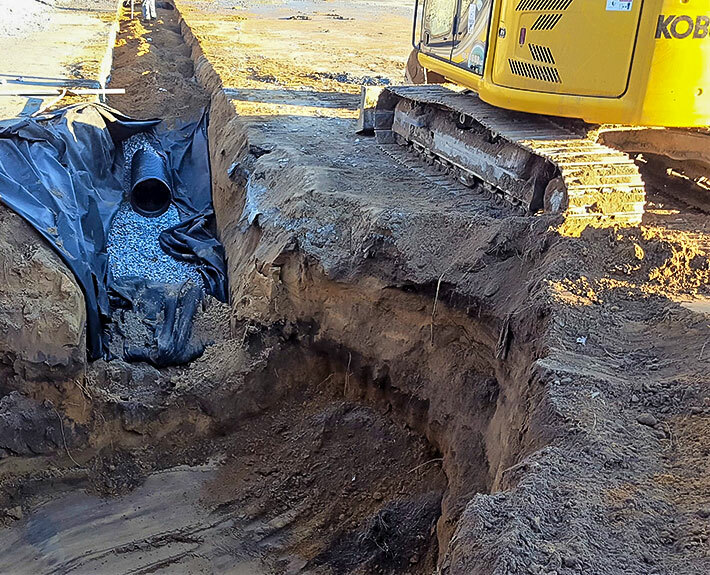 Drainage Repairs & New Construction Our excavation services are perfect for any need. We excavate to repair drainage, water systems, and for new construction. 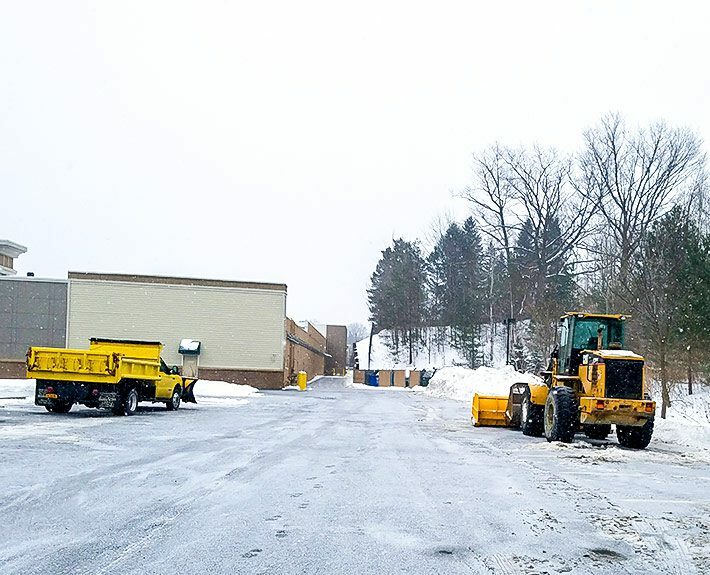 Get the job done this winter with quality snow removal services. Prepare your business for the winter season by securing professional snow plowing services. When the storm hits, you can rest assured knowing your business is ready and will be safe for customers and employees.